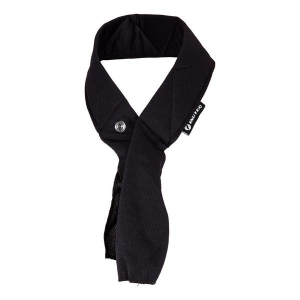 The INUTEQ-H2O evaporative cooling neckwrap is a lightweight and easy to (re)activate cooling accessory. Wearing this cooling product, people may stay comfortable cool. This product performs best in low-medium humidity environments, and where airflow can reach the body. The more airflow, the better you feel the cooling effect. This product was added to our catalog on 15/12/2016.